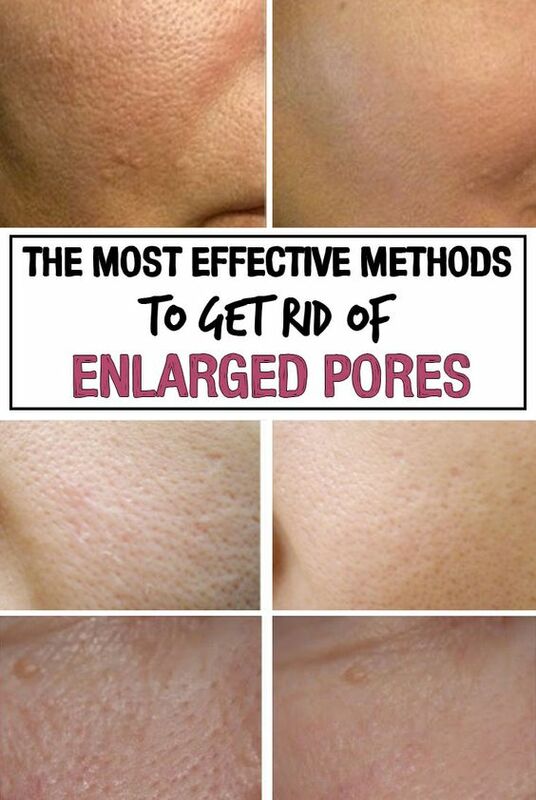 Home / Beauty / How to Shrink Pores? Our skin has sebum gland that produces oil. This natural oil balances the dryness in our body. However, if it is produced in the access, it gets clogged in the pores. 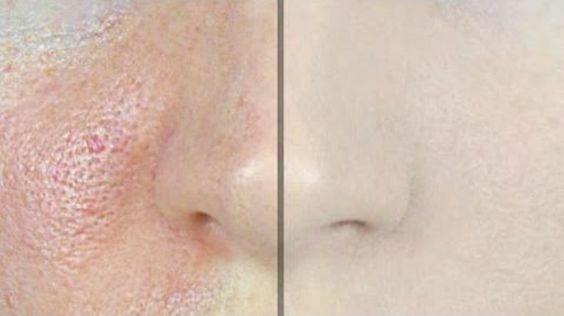 Because of it, pores become visible. Open pores attract dirt and pollutants that lead to a formation of bacteria, which further leads to skin problems like a pimple, acne, blemishes, whiteheads and blackheads. To prevent this skin conditions and to make your skin healthy it is very important to close the pores. Below we have listed some of the ideal remedies that will help you shrink pores. Baking soda exfoliates the skin and eliminates the excessive oil, debris and stored in the pores of the skin. It also maintains the pH level of the skin. Moreover, it has anti-inflammatory and antibacterial properties. Because of all these properties, baking soda helps to get rid of other skin problems such as a pimple and acne as well. Mix some baking and lukewarm water to get a fine paste. Apply this paste on your face and neck nicely. Make sure that you do not apply a thick layer of this paste. With the help of your fingers massage your skin in the circulation motion for 3-5 seconds. Leave it on for a few minutes and last clean it with cold water. Be sure that you always use cold water at the end as it helps to close the pores. Do this 3-5 times a week. P.S- Do not leave on the baking soda for long it time as it dries the skin. After removing it apply a light moisturiser. Egg whites also help to shrink enlarged pores. It tightens the skin and removes all the dirt and oil clogged in the facial pores. How to Apply Egg Whites? Whisk an egg white, if needed add a few drops of water and spread it on your face. Leave it on your face until it dries completely. Then rinse it off with cold water. Or, whip 2 egg whites and mix them with the half lemon juice. Apply this paste on your face nicely and leave it for a few minutes. Wash it with cool water. Follow this -3 times a week. If you want to a scrub and natural face pack then mix an egg white, lemon juice and oatmealApply it on your face. Leave it for 20 minutes. Then scrub it and rinse it off with cold water. Do this 2 times a week. Lemon is packed with citric acid that has purifying agents. It not only eliminates the debris, pollutants and excess oil prom the pores, in fact, inhibits the growth of the bacteria as well. These bacteria lead to pimples and acne. Moreover, it is a natural bleach, therefore, it is a wonderful remedy for blemishes and dark spots as well. How to Apply Lemon Juice? Wash your face and pat it dry and rub a lemon slice on the entire skin. Leave it on for few minutes and then rinse it off with the cool water. However, if you have dry skin type then mix a few drops of water and half tablespoon of honey in a tablespoon of lemon juice and spread it on your face. Leave it on until it dries completely. Wash it off, pat it dry with a towel and apply a moisturiser. Alternatively, a mixture of lemon juice and cinnamon powder will also help you to close the enlarged pores. Cucumber is a natural astringent. It removes the dirt,m excessive oil and bacteria trapped in the pores. And this helps to shrink the pores. Moreover, it refreshes the skin and bid adieu to dull skin. Dip a cotton ball into the cucumber juice and spread it on your face. Simultaneously lie down and place slices of cucumber on each eye. For effective results add rose water a honey in the cucumber juice before applying it. If you put on makeup regularly then ice pack can help you in a great way. It helps to tighten the pores, keeps the makeup intact and promotes the blood circulation and gives you healthy and glowing skin. Wrap a few ice cubes in washcloth or paper towel. Dab this ice pack on you face. Make sure that you cover the entire face. Do this for a few seconds and then apply your makeup. It will help you get rid of dark circles and puffy eyes as well. Most important, wash your face with cold water 2-3 times a day especially before going to bed to close the open pores. Previous HOW TO TREAT DROOPY EYELIDS NATURALLY. THE RESULTS ARE AMAZING! Next Doctors Are Speechless: Just Boil These 2 Ingredients And You Will Quickly Lose All Of Your Body Fat!